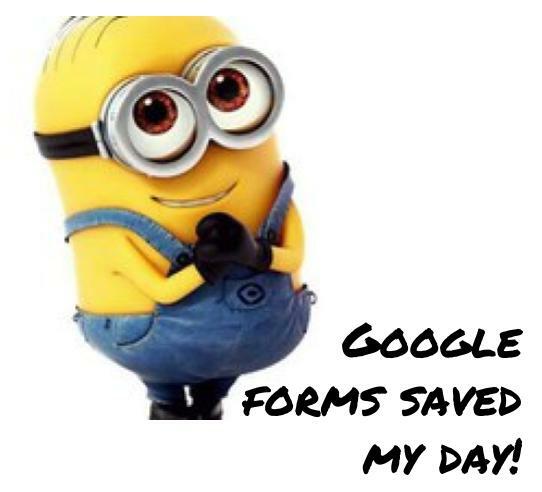 If you have been reading my blog, it will come as no surprise that I think Google forms is the best thing that has happened to schools since the invention of sandwiches. But today just proved my point for the umpteenth time. Just before lunch, the principal called me to her office in a frenzy. We needed to get consent from all 700 parents as a matter of urgency. In less than 10 minutes the form was created (writing the cover letter took much longer than creating the form) and emailed to all parents. Not 5 minutes after we send the email, replies started to stream in. At first, the principal didn’t want to believe me, but by the time she managed to open the responses sheet, there was already more than 50 replies. As we looked at it, more and more responses came through. It is now less than 4 hours, and we already have more than half of them. If you ever had to get reply-slips back from parents the old-fashioned way, you will appreciate how amazing this is. Not only will we have the majority of the responses before I go to be tonight, but I will be able to provide a list of the replies, alphabetical and sorted in classes, first thing tomorrow morning. I can not imagine the man-hours it would have taken to collect, collate and record all those responses manually. Google forms might not be able to solve the world’s problems, but it definitely solved mine today.